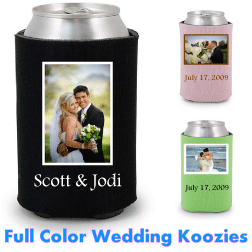 Our full color scuba foam can koozies will open up your options for creating so many designs, pictures or scenic settings for your text or clip art. There are no limitations on your color choices or even photos. 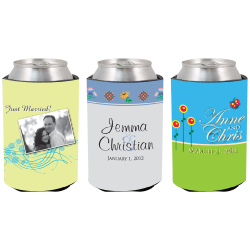 Now your can koozies can have a colorful background in any pattern you have in mind, you can add text or a photo to your design. We have worked very hard to be able to reproduce your most colorful patterns. You will have the ability to print from edge to edge and bottom of your coolie with your own custom artwork. Let your imagination run wild or let us know what you have in mind and we can help you create it.